Sandeep Balan, Head of Digital Marketing, United Breweries shares interesting insights on branded content vs original content from a brand perspective. A digital marketeer by the day and writer by the night, Sandeep Balan heads Digital Marketing at United Breweries and also writes short films and web series for YouTube. Most of his written work can be found on youtube.com/cheersindia. With immense knowledge around the thriving digital content ecosystem, Balan sheds light on the challenges and opportunities in branded and original content. There is no vs, they both kind of go hand in hand. For Balan as a user of various social media platforms, as long as the content is engaging and entertaining, he doesn’t care if he gets it from a brand or a content creator. The word to note is that entertainment is the core of it. As long as it does that, be it branded content or original content, if your content is not engaging and entertaining enough, it wont work. The key is that the intend to do good quality content. The biggest differentiator between branded content and original content is that you can mould and tell your story the way you want to. The issue with branded content is also that it doesn’t come cheap. If you take an option of 100% share of voice with an established content creator it will cost you a bomb and then you have an option of sharing the screen space with five other brands which can probably dilute your overall message. The disadvantage of original content is that you won’t have reach, but if you plan it from a five year perspective to start with and if you are genuine in your approach there is no way that it shouldn’t work. Today what matters for users is how entertaining the content. I think when brands try to create original stories the classical trap that they fall into is there is always a greed to show more of the brand and content kind of takes back seat. Also Read: Interview: The making of BeerBiceps! No one is watching ads. Even my two year old nephew knows how to skip ads. He doesn’t even know what that means, but instinctively he goes on to skip ads. That’s the reality. We are waking up to a generation that probably for them skip ads would be by default. Hence, the need to create content which can engage with people. The need for branded content is felt because engagement and reach wise, the numbers are right up there, the brand is really integrated into the story and connects well with the users. Most importantly, branded content is not a push. Your social networks come into play, you are not sharing it because it is a branded story but because it was entertaining and you wanted to share it with your friends. Four years back we started the entire wave with TVF’s Pitchers. Then webseries was a new concept. You have to catch the trend early, that’s the key. Pitchers was written with Kingfisher in mind. It takes time to create good content. Now what’s happening is almost everyone is doing branded content. Pitchers and Permanent Roommates perhaps stood out because there was no clutter back then. You could try and tell a story with a brand character in the story, which is what really important. Why people keep going back to content creators in the first place is because they give you a reach which is the real problem or roadblock you will face as brands when you start creating original content. You don’t have the distribution network. But, you have to start somewhere. You also need to have a strong strategy in place to acquire a platform for original content and you have to find a way to merge both. For TVF it started in 2012, all of them started somewhere. But for them to get where they are it has taken them 3-5 years. It has to be a long term approach. Why branded content works is because for them content is at the heart of it; for creators the brand is kind of interfere in the story. Brands do the opposite. At the end of the day it becomes 70% of the brand which kind of doesn’t work. It needs to be the opposite. I would say it should be 80% content and 20% brand. When we did our first short film- Half Ticket- the thought that we started it with was really simple. We had close to two million views, 5k comments and 20k shares of the short film. If you are not trying to push your brand agenda and subtly integrate the brand more s a character in the story placement, it works. If your story is good enough, you can succeed with original content. It will take time for you to reach a subscriber base that can rival popular content creators. Branded content is a shortcut. You can take shortcuts but you can’t keep doing it. There is no stand out creativity there. You let the creators do all the hard work. You cannot participate in a content trend just by tying up with a creator and then not have much control over it. If you want to participate in the trend , you can’t shy away from creating original content. Work on return of objectives rather than return on investments. 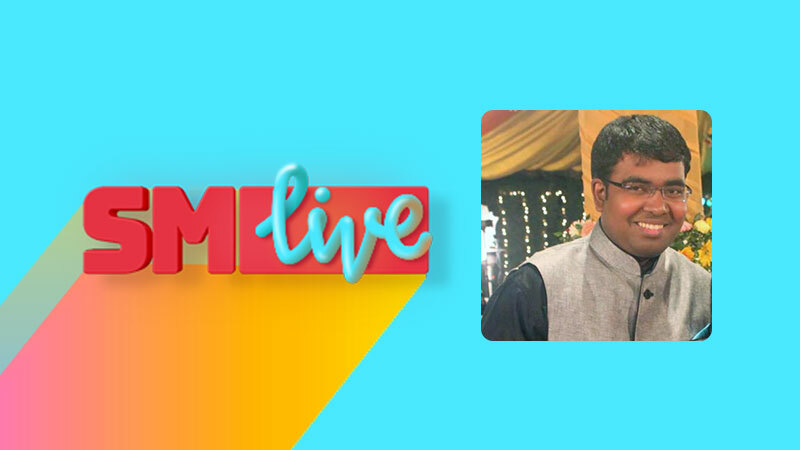 Sandeep Balan, Head of Digital Marketing, United Breweries was speaking at the live session of India’s first live conference #SMLive 2018.